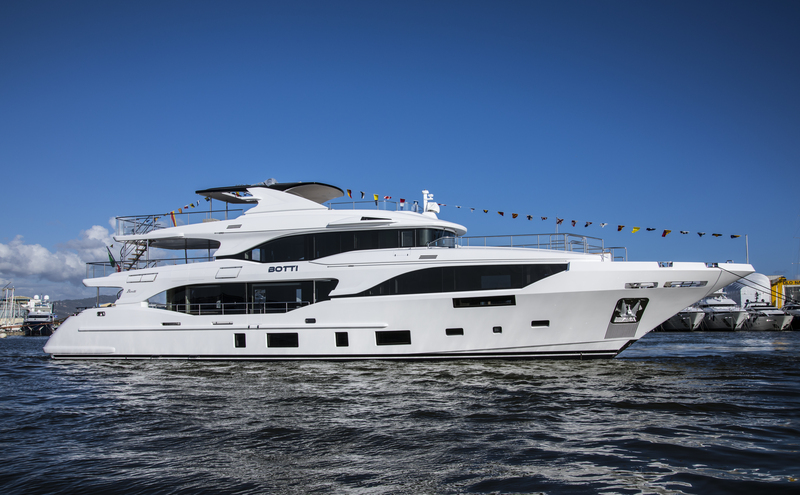 M/Y BOTTI by Benetti is the third model in the Class product line. The Benetti Mediterraneo 116′ motor yacht named Botti was recently launched in Viareggio by Benetti Shipyard. The M/Y Botti is a 35,3 meters with a displacement fiberglass and superstructure carbon fiber. We are very proud to be on board of this beautiful M/Y Botti. Thanks for choosing Cantalupi Electric System to design and realize the entire electrical system, including the customized switchboards and all the automation system. Also, thank you for choosing the 4C innovation Navigation Led Lights collection. Wishing you a safety navigation all over the world, M/Y Botti.